Used Bach LT42G Professional Bb Tenor Trombone in lacquer. .547” bore light weight nickel silver hand slide, 8.5” gold brass bell flare. 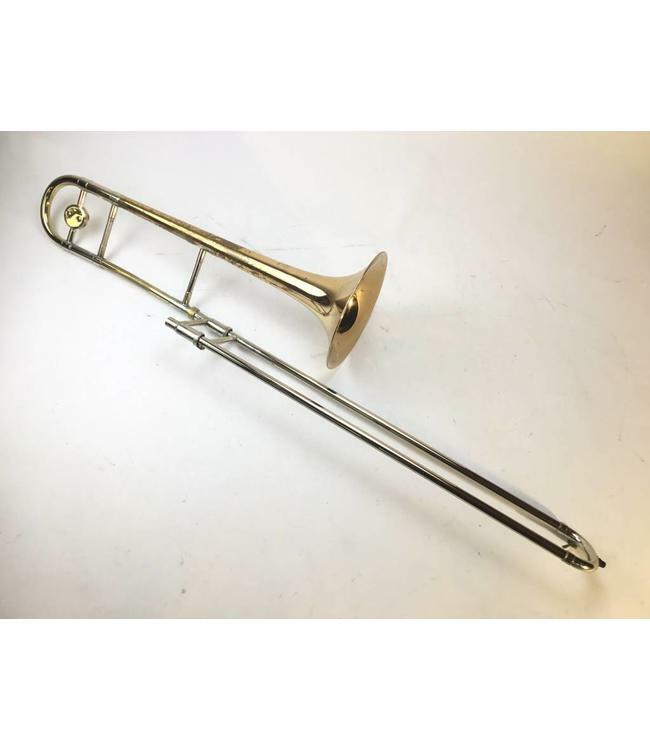 Instrument is in good condition apart from lacquer wear and pitting throughout, minor dings throughout hand slide bow and bell flare, minor acid bleed around bell rim and evidence of previously repaired bell crease. No case.